This is a great time to study Computer Science as it will be a new department for September 2017 and an exciting initiative for the school. Computer Science is being delivered at all of the Key Stages. The syllabus covers the areas of programming, algorithms, computer hardware, networks and software design. 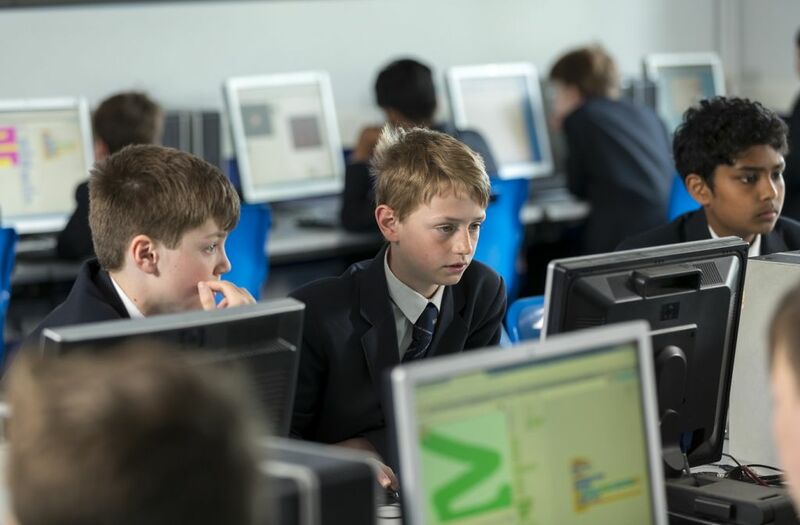 Pupils will be introduced to Computer Science and start programming in Python and working on algorithms in Snap. They will also start learning the basics of networking, binary and data storage and understanding the insides of the computer. Pupils will follow the OCR syllabus for GCSE covering: Computer Systems (systems architecture, memory, storage, wired and wireless networks, network topologies, protocols and layers, system security, systems software and; moral, legal, cultural and environmental concerns), Computational Thinking, Algorithms and Programming (algorithms, programming techniques, producing robust programs, computational logic, translators and facilities of languages, and; data representation) and finally completing a Programming Project (covering programming techniques, analysis, design, development and testing and evaluation and conclusions). Sixth Formers choosing to study at A-level will follow the AQA syllabus. The course content covers: the fundamentals of programming, data structures and algorithms, theory of computation, fundamentals of data representation, computer systems and of computer organisation and architecture, consequences of uses of computing, the fundamentals of communication and networking and of databases, Big Data, the fundamentals of functional programming, a systematic approach to problem solving and includes a practical project/non-exam assessment. There has never been a better time to go into Computing. It is well known that there are not enough good Computer Scientists to fill jobs. It is a rewarding and diverse career path. Increasingly other areas of work and study are relying on people with Computer Science skills to develop their own subject areas. The sciences and every type of engineering are obvious examples. So even if you do not want to work in the field, it may still be the right choice for you. What can Computer Science lead to? Computer programmers are very much in demand. There is a huge growth in the development of apps. In this increasingly information intensive society, computer scientists are finding themselves in demand. Future study options include: Software Engineering, Physics, Artificial Intelligence and Computer Game Design. Mr Hamilton BSc Computer Science from the University of Manchester. Graduate Trainee Program Teaching Qualification from Manchester Metropolitan University. Mr Hamilton is the Head of Department and spent the first part of his career in industry working for large multinational IT companies on various contracts. He has taught in Salford, Kendal and most recently Lancaster Girls' Grammar School. In his spare time Mr Hamilton enjoys canoeing, mountain biking and car building/restoration.